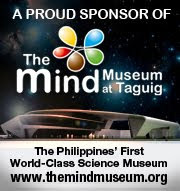 On Saturday, we join the world again in observance of the Earth Hour. 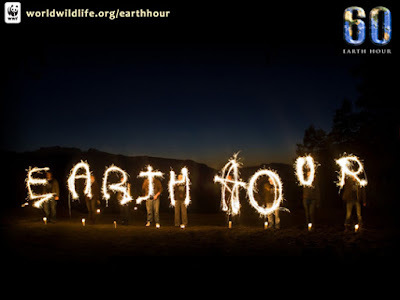 The Earth Hour was started 5 years ago by the World Wildlife Fund (WWF) initially in Sydney, Australia and has since spanned the globe, to date enlisting over 128 countries and over 1.3 Billion people. The idea behind the Earth Hour is enjoining the whole world to turn off the lights for one hour, to dramatize the extent of man's use of the Earth's resources and to remind us of the need to care for the environment. It is much like pausing for a moment of silence to remember important people (usually dead ones); in this case, it's the Earth we're trying to remember (to keep it from dying; hehe, bad analogy, sorry.). March 26, 8:30-9:30PM: Lights out! On Saturday, March 26, on the Earth Hour, join the world, turn off your lights for one whole hour from 8:30PM-9:30PM. That's a whole hour of darkness (or longer if you're so inclined); you could either sleep it off, or do something more creative out of that hour. Haha. Don't we just suddenly feel like talking about ghosts when it's dark (esp. if due to a power outage at night)? I mean, especially when we were younger, that seemed like an appropriate theme to discuss. We like scaring ourselves. So do so, with family or friends, and scare the hell out of everyone for at least an hour with your scary stories about ghosts, whether from experience or from fertile imaginations. 2. Play hide and seek. Wherever there's a candle and shadows are cast, we like to play with the shadows, making our own shapes using our hands. It's fun to make shapes and let others guess what you're trying to form. The easiest shadows to cast with our hands are the dog, a bird, and a snake. You can make them talk too and tell funny stories through the shadow movements. 4. Sing with a guitar and a songbook. Hopefully there's one among you who plays the guitar, and of course, hopefully you have a guitar and songbook too. And take the semi-anonymity of the dark to sing to your heart's content - yes, even to the irritation of the neighbors! Hehe. What the heck, it's just for an hour! 5. Go out, stargaze and count shooting stars. In the province this is such a brilliant thing to do. The lack of air and light pollution really makes stargazing a satisfying activity. Identify your constellations, planets and your zodiacs - it's very educational for children. Catch the most shooting stars and get to make the most wishes. It's also a great exercise for us to be checking out the Earth's neighbors during the Earth Hour. While there may be many possible worlds out there, there is only one Earth; and looking up, we're just one tiny speck in the vastness of the Universe. 6. Play the Cashflow Game. Ok this can be challenging since you'll be dealing with chips, and money and pen and paper, but it can be done! Hehe. Or you could do the usual fare - scrabble, chess, boggle, etc. But try Robert Kiyosaki's Cashflow Game for a change - for a chance to help improve your financial intelligence. Playing it takes at least 2 hours so you can start playing even before Earth Hour, or extend beyond the Earth Hour. 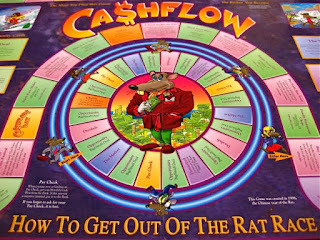 Rich Dad Poor Dad's Cashflow 101 Game Board: Try it! Provided you have enough candles to sufficiently light your writing, do write. Could be a letter, or a journal, or a list of things to do. Better a list of learnings, or things you're grateful for, or a bucket list of things you'd like to accomplish before you're a certain age. Write. Write. Write. (or: Make plans for a blog!) It'll clear your thoughts. Learn some meditation techniques and use the Earth Hour to practice it. It's just like prayer, it's good for clearing your thoughts. As the Earth Hour is a pause for the Earth from the pressures of man, so is meditation a pause for you from the stressors of life and other extraneous influences. 9. List 3 Things you promise to do for the environment. c. I commit to using only eco-friendly bags when shopping or buying groceries. Keep the list simple, keep it short. It's easier to commit to doing 3 things than 10 things. With the lights off, it's not just literally lights out but all other electronic devices; include the electronic gadgets in the mix for good measure, they use electricity anyway. With all those off, you'll have peace and quiet - and it's a good time to pray, especially if you haven't done something like that in a long time. It's just you and God and your longings, your prayers, your thoughts. Pray for God to bless the Earth and to help man take better care of the Earth. Have fun during your Earth Hour observance. 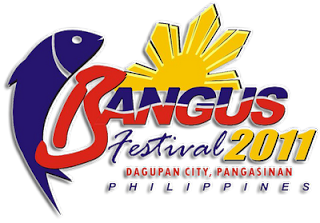 For more info, visit the website http://www.earthhour.org/.